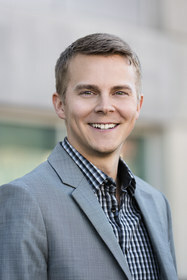 SANTA MONICA, CA--(Marketwired - Jan 22, 2014) - Adconion Direct, www.adconiondirect.com, a global leader in cross channel digital advertising across display, video, mobile, email and social, today announced Nathan Jokinen has joined the company as Vice President of Strategic Development. Prior to joining Adconion Direct, Nathan spent nearly a decade in business development and digital strategy at Target Corporation, currently the second-largest discount retailer in the United States with more than $70 billion in revenue in 2013. Adconion Direct provides cross channel digital advertising solutions for more than 2,000 advertisers globally, including Anheuser-Busch and Kellogg's. Nathan is joining Adconion Direct to focus on strategic innovation and the retail vertical as the company continues to fuel its worldwide growth and expansion in 2014. The company recently launched an automotive vertical focus and opened offices in Detroit and Boston. Adconion Direct's integrated cross channel platform technology delivers in-depth audience insights from display, video, mobile, email and social to maximize digital ad campaign performance and engagement. "Adconion Direct is leading the way, both in technology and methodology, for the next generation of cross channel digital advertising," added Jokinen. "Adconion Direct's unified technology platform truly brings the highest level of performance and audience insight for advertisers using cross channel data. As online advertising spend for retail in the US is projected to reach $10.52 billion in 2014 and continues to be ranked highest in digital advertising spend of all industries, I'm thrilled to join the Adconion Direct team at such a pivotal time for both the company and industry." "We are pleased to welcome Nathan to Adconion Direct, with his proven success in digital strategy for one of the largest North American retailers, Target," said Kim Reed Perell, CEO of Adconion Direct. "Nathan possesses tremendous knowledge on advertising and optimization platforms, making him ideal to lead our strategic business development efforts. His expertise in data, media, and technology combined with his deep understanding of retail and CPG make him an incredible addition to our team as we continue to grow using Adconion Direct's cross channel platform to drive performance for advertisers." Adconion Direct is a global provider of cross channel digital advertising solutions, delivering performance at scale for advertisers across display, video, mobile, email and social channels. The cross channel platform is powered by an end-to-end proprietary technology solution and audience profiling engine that tracks and analyzes billions of audience events monthly. By combining exclusive first-party data and cross channel insights with proprietary technology and predictive optimization algorithms, Adconion Direct is able to deliver quality results across multiple channels and devices for brands.